Tecnoglass can be called one of the first true Colombian multinationals, going beyond selling to other Latin American countries and establishing a significant market presence in the United States, which now accounts for more than half of revenues. 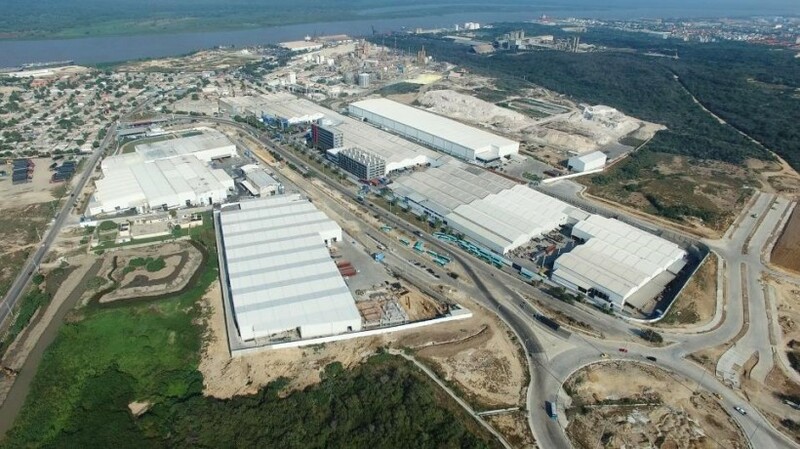 With headquarters on Colombia’s Atlantic coast in the port city of Barranquilla, where it has a 3 million+ square feet manufacturing complex (pictured above), Tecnoglass sells to customers in North, Central, and South America. The US market now makes up over half of company revenues, and with a physical presence in the US after purchasing a Miami facility, that market is expected to continue to grow. Tecnoglass has been listed on NASDAQ since its 2003 IPO. This month, the company also listed on the Bolsa de Valores de Colombia (BVC), Colombia’s stock market. A week later, the company announced a $109 million USD syndicated credit facility. With so much going on, Finance Colombia’s Loren Moss spoke with CEO José Manuel Daes who, along with his brother, COO Christian Daes, have grown the enterprise known as Tecnoglass from just $50,000 USD per year in revenues back in 1984, to $200 million+ per year. The goal was to understand what is behind Tecnoglass’ success, and the company’s vision for where the architectural glass industry is headed in the future. 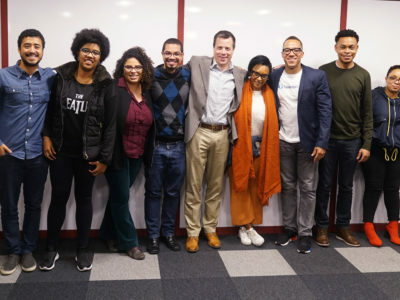 Finance Colombia: So how did you get started? José M. Daes: In 1994 with my cousin, we founded Energia Solar, which was a company that started making solar water panel heaters. After a couple of years, we lost our customers because they were too expensive compared to the gas heating, with the pipelines that were coming into the north coast. So we turned the company from making solar water panel heaters to making windows because there was a lot of demand for windows and we used the same tools and raw materials, which were glass and aluminum. That was 1988, from then on we grew from $50,000 USD a year to around $12 million USD by 1994. In 1994, I founded Tecnoglass because we were buying a lot of tempered glass and the supply was often really bad. 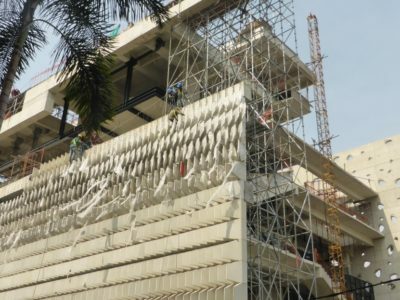 After we started Tecnoglass, the Colombian construction market crashed because of the banks. We turned around and started looking for alternative markets. We went to the US and then we started exporting glass, and then windows to the United States. By 2007, we decided that our supplier of aluminum was not doing a good job because we were always lacking the raw material to make our windows on time, which is critical in the industry, so we opened our own distribution business under the brand Alutions. We have brought those technologies under the cover of Tecnoglass. And in 2003 by December 20th we went public and we founded Tecnoglass, Inc. which is the owner of Tecnoglass Colombia and Energia Solar Colombia. That’s the concise story of the company. A prominent feature of Miami’s skyline, the Icon-Brickell condominium complex is skinned with Tecnoglass panels. 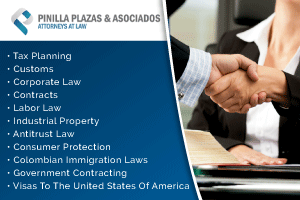 Finance Colombia: In January of last year, you purchased a facility in the United States. What did that allow you to do that you maybe couldn’t do before? What did it allow you to do better? José M. Daes: We needed a warehouse and we needed the opportunity to do the “ones and twos” (small orders) and the replacement market. We needed a warehouse to work from, offices—so we decided to buy this one which was a bargain, and it was from one of our competition. We bought the NOA (Notice of Acceptance: taking over pending work from the seller’s books) for $4 million USD, and $5 million dollars for the warehouse. Which now we got an offer just a year later for $6.5 million, but we don’t want to sell it. We need to keep it, because we need it. Finance Colombia: And then in September you introduced a new line of low-E glass. That means that it has insulation qualities, correct? José M. Daes: Of course, yes. We were buying that glass from outside suppliers like Guardian and PPG. By making the glass in-house, we reduced the cost by 30 to 40 percent of the material so that puts us in a totally different ball game and I’d like to show that the next two to three years we plan to grow by 25 percent at least every year, organically. Finance Colombia: Well I think that with the move towards, LEED certified properties and people being more energy conscious, that has to be a growth market. José M. Daes: The market of the future is the low-e quality glass. It double shields or triple shields and everybody is trying to save on their air-conditioning and heating. That is the way to go. We are very happy with the investment and we have found that we are going to make more money than was projected. Finance Colombia: Now you just started last week trading on the Bolsa de Valores de Colombia (BVC), the Colombian stock exchange. You have already had success on NASDAQ. Why did you decide to go ahead and issue shares to the Colombian stock exchange as well? José M. Daes: Because we are more well-known in Colombia than in the US. We only have one analyst (covering us) in the US. For them we are a foreign company. We are little-known (in the US markets). We have a low trading volume, but in Colombia we have many people that want to invest and they keep calling us, saying “we want to invest, and we don’t have an account in the US,” so, to make it easier on them we believe the Colombian stock exchange will give additional liquidity to the stock. And we are more well-known in Colombia than anywhere else. People can go to the factory and see that we are for real. Finance Colombia: I would imagine that as a company that is heavily involved in export, what effect has the decline in the Colombian peso had on your operations or your strategy? José M. Daes: Well, it reduces my cost of production. We export and we import. The cost of production is reduced, so that’s why it is good for us. We make money either way. When the currency is revalued as it was before, it helps selling in Colombia, and now that it is devalued it helps a lot for the price of selling in the US, Panamá and everywhere else. 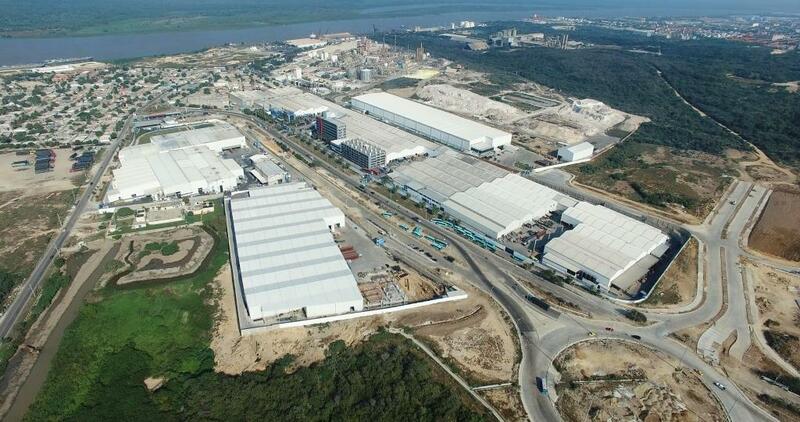 Finance Colombia: Your factory is located in Barranquilla. Why did you select Barranquilla? 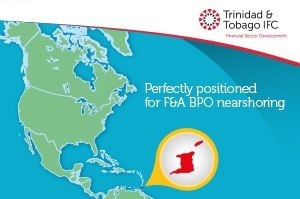 And what advantages does that location have for you, relative to other locations in Colombia? José M. Daes: I am from Barranquilla, Colombia. That was where the factory started. But it ended up being the perfect location because Barranquilla receives—or Colombia receives many, many more containers than there are exports for those containers . Most of the exports of the country are oil, coal, or coffee, grains…things that are not containerized. Most of the containers go back empty. That means that we get a very preferable rate on containers going back, so our cost of export to Miami or New York is less than a truckload going from Minneapolis to New York! “We can make glass that protects from the weather, while letting you have a great view. People like that you can now be in harmony with the surroundings.” – José M. Daes. Above: Suburban Miami’s beachfront Regalia condo tower, featuring Tecnoglass materials. 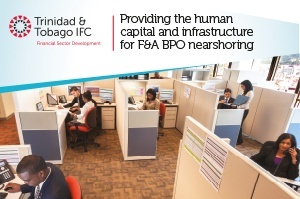 Finance Colombia: How is the Barranquilla workforce? Is the talent there that you need? José M. Daes: They are great! Let me tell you, we are very happy with their work, much more than I have seen anywhere else. My people in Colombia are the best. The best workers you can imagine, and they are grateful, loyal and they fight for the company because we don’t pay any worker the minimum salary. Our lowest minimum salary is at least ten percent higher than the legal minimum wage. We pay them the transportation subsidy and we still give them the transportation, we supply them with transportation. We subsidize all of their higher education and we subsidize all of their children’s education and higher education, so they are a very loyal workforce, they work very hard. They like what we do for them. And we enjoy what they do for us. We have 5,600 workers and we don’t have a union. One time some people wanted to form a union, and they made a list of what they could get if they unionize, and they would have gotten less than I already give them! Finance Colombia: What’s the future of glass? Where’s the architectural glass industry headed? 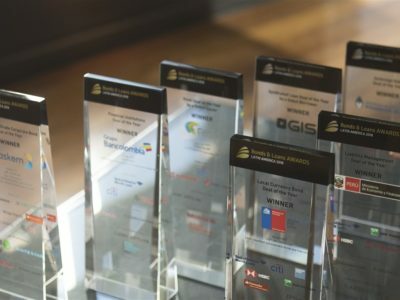 What are the trends, what are we going to see in five to ten years, and how will Tecnoglass participate in those changes, and in that growth? José M. Daes: Well let me tell you. Number one, if you see the older buildings like the Pyramids of Egypt, they didn’t have any windows. If you look at the buildings for example, in the middle ages, they had very small windows because they were hiding from the weather. The weather is harsh and they were trying to hide from the weather, whether it was cold or hot. Now, the front of buildings are more and more glass, more and more panoramic views because people want to be integrated with weather, if you are at the beach, or forest, or golf course, or even the city. And that has been done because the glass has progressed to the point where we can make glass that protects from the weather, while letting you have a great view. People like that you can now be in harmony with the surroundings. And what I see for the future is more and more glass, outside and inside. Before, all the offices were made of concrete, today inside any office is very transparent. We expect the future to bring even more savings on heating and cooling, and Tecnoglass is going to keep growing in that segment and we are going to keep integrating. Our next step will be to do a float plant to make our own glass so that we will not depend on anybody. When people think of a window company they think it’s a small shop with a few workers. You know, we are 5,600 people. We make our own aluminum, we make our own glass, and we make our own windows. And we have more than four hundred engineers working, designing, doing fabrications, it’s a very impressive operation. We have more than three million square feet under the roof.